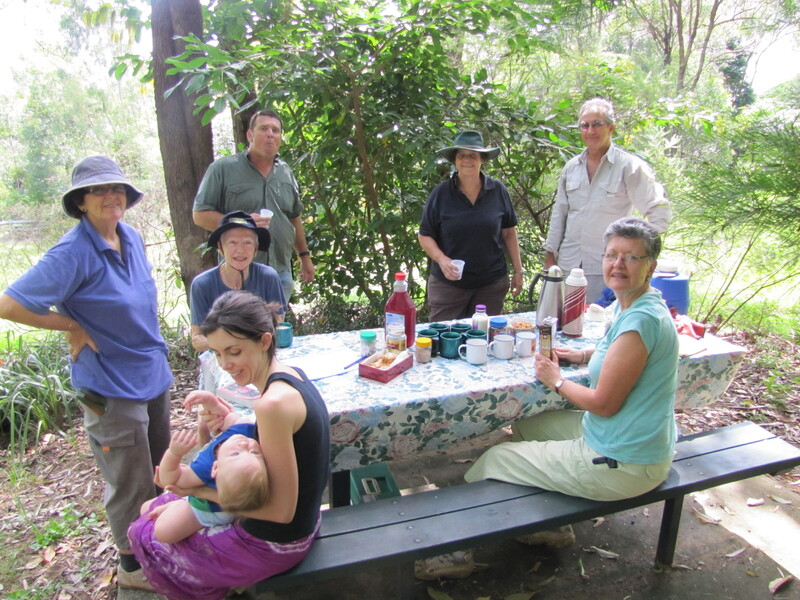 Our Vision is the first step in revising the Mt Gravatt Environment Group’s Strategic Plan. Mt Gravatt is the heart of a special community. Indigenous and European histories both have strong links with the mountain. 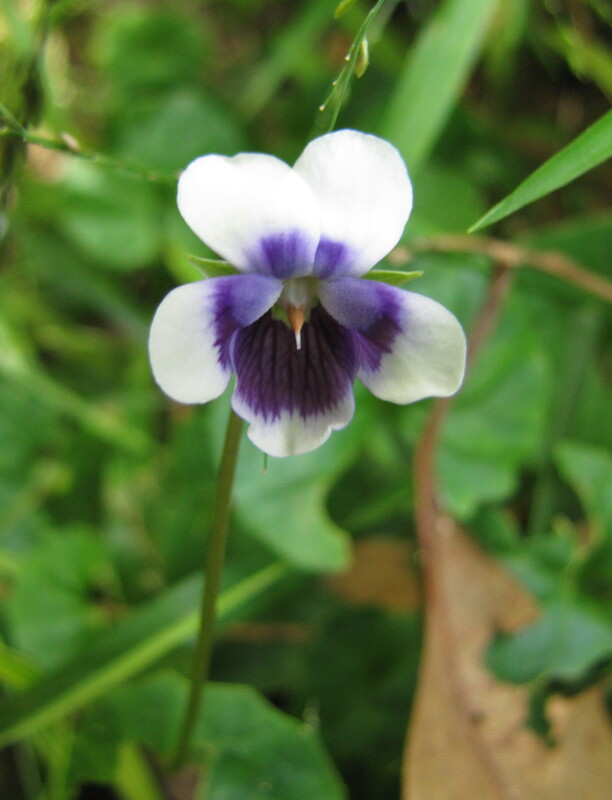 Although it has been farmed, harvested for timber and increasingly isolated by suburban development over one hundred years, the mountain still supports the most amazing diversity of plant and animal life. This ecological and cultural landmark exists just ten kilometres from the CBD of the fastest growing city in Australia. Restoring and strengthening the ecosystems of the mountain and its corridors, will have positive community and environmental outcomes, and is increasingly urgent as the population in the area grows. Mt Gravatt Environment Group is already working to actively engage the whole community in consolidating healthy habitat areas and reducing habitat isolation with wildlife links. Why a whole of community focus? Wildlife does not recognise human created property boundaries or roads. Effective habitat consolidation and linking requires co-operation of a diverse range of property owners – private, corporate, local/state/federal government, community groups, schools and university. Therefore, a key part of our strategy is to identify investments in the environment that also deliver excellent community and business outcomes. Please comment. 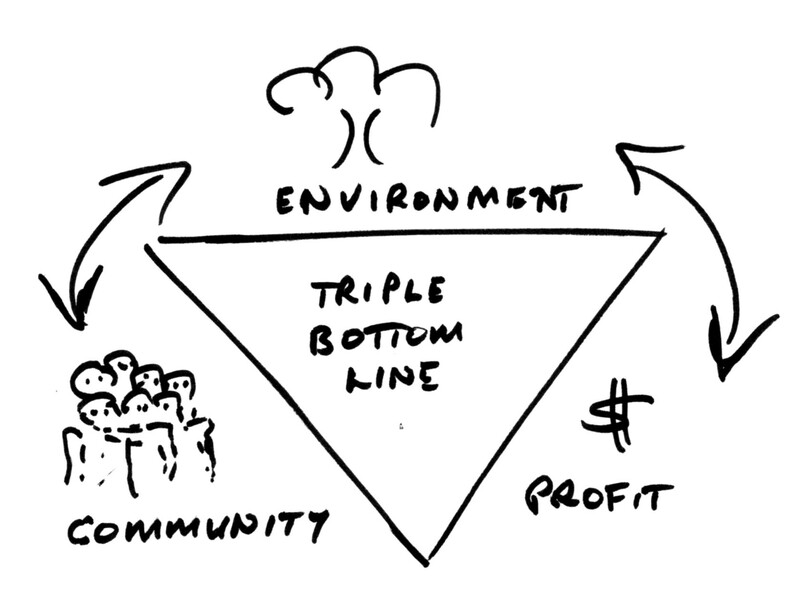 How can we engage the community in this vision? 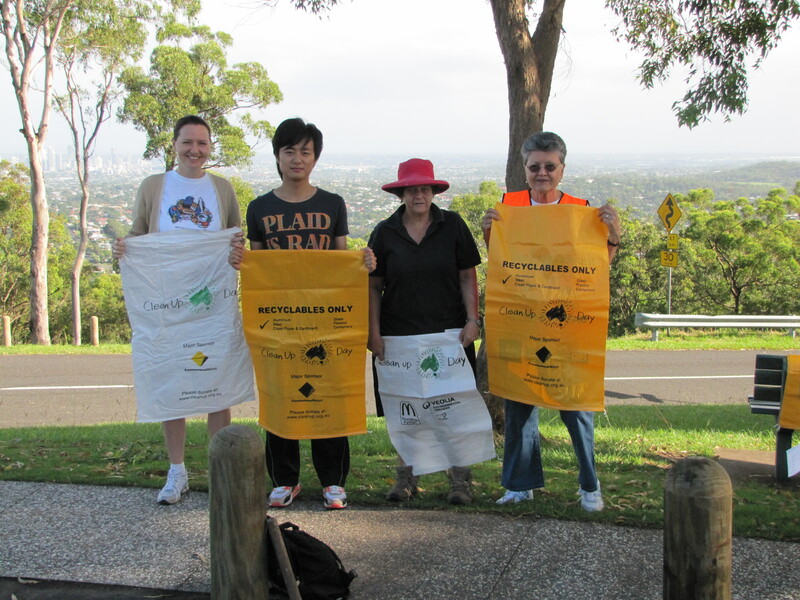 Congratulations to Sue Jones who organised Sunday’s Clean Up Australia Day in Mt Gravatt Reserve. The team arrived early to prepare for sign-on and safety briefing. a full suitcase of clothing! Michael from BCC Local Area Services also provided excellent support: ferrying ute loads of filled bags back to the Summit. I was little surprised to see an office chair go up on one load. Dumping of rubbish and garden waste is still one of the three big threats to Mt Gravatt Reserve. However, there was general agreement that the new gate at the Shire Road entry has made a big improvement. On Sunday we had a skip provided thanks to Clean Up sponsor Veolia. The MEG Summit Clean Up was certainly the place to be on Sunday morning. Cr Krista Adams and Ian Walker the new LNP candidate for Mansfield Ward, and Ian’s wife Heather all joined the clean up. An official Clean Up Australia team to see the clean up on one of Brisbane’s iconic sites and the Southern Star was there: so be sure to read this week’s paper. We had representatives from China and USA joining in to help Clean Up Australia along with members of a walking group, who love the Reserve. At the end it was a real pleasure to be able to sit in the sun sharing a coffee from the Echidna Magic Kiosk. 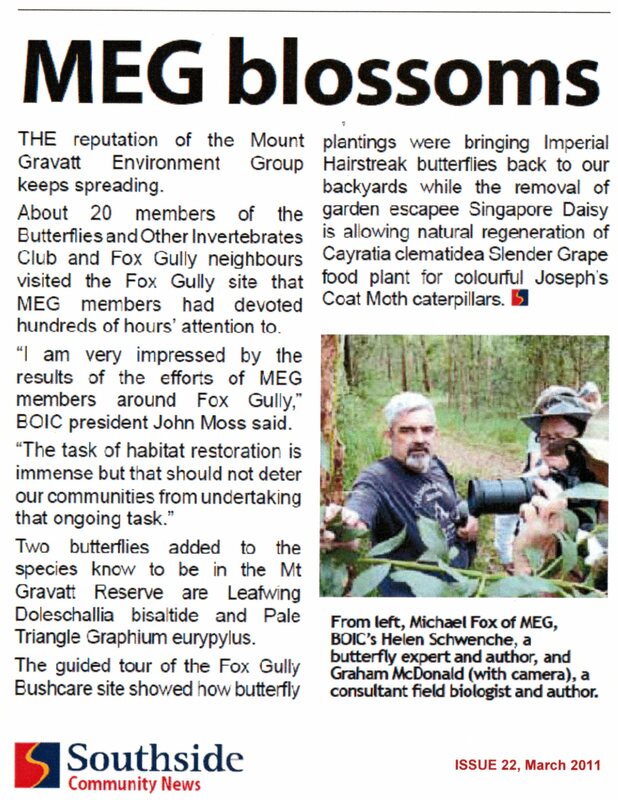 The visit by BOIC (Butterflies & Other Invertebrates Club) reported in our local Southside Community News. Correction and apology: BOIC President’s name was incorrect. My mistake: I provided the wrong name to the journalist. Ross Kendall of Butterfly Encounters is currently BOIC President. Join Mt Gravatt Environment Group (MEG) for Clean Up Australia Day 2011 and help clean up the habitat of some of our special animals. Sunday 6th March 2011, 8 – 10 am. Meet at the Echidna Magic Cafe on the summit. 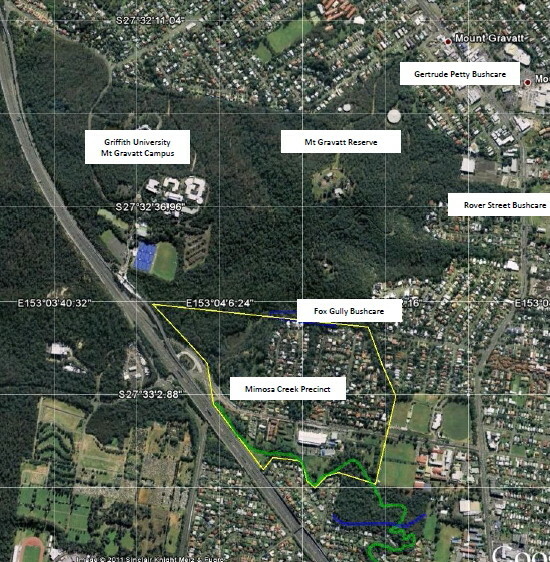 Access via Mt Gravatt Outlook Drive (UBD 201:B2). Click to Register for Summit Cleanup. 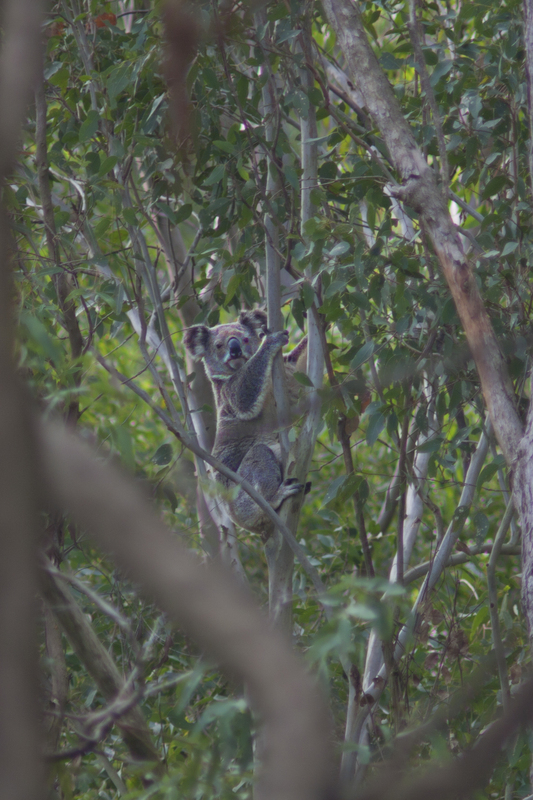 Mt Gravatt Reserve is home to koalas, echidnas, fireflies and forty-five species of butterflies. Clean Up Australia Day is an opportunity to experience this unique bushland and improve the habitat for our wildlife. 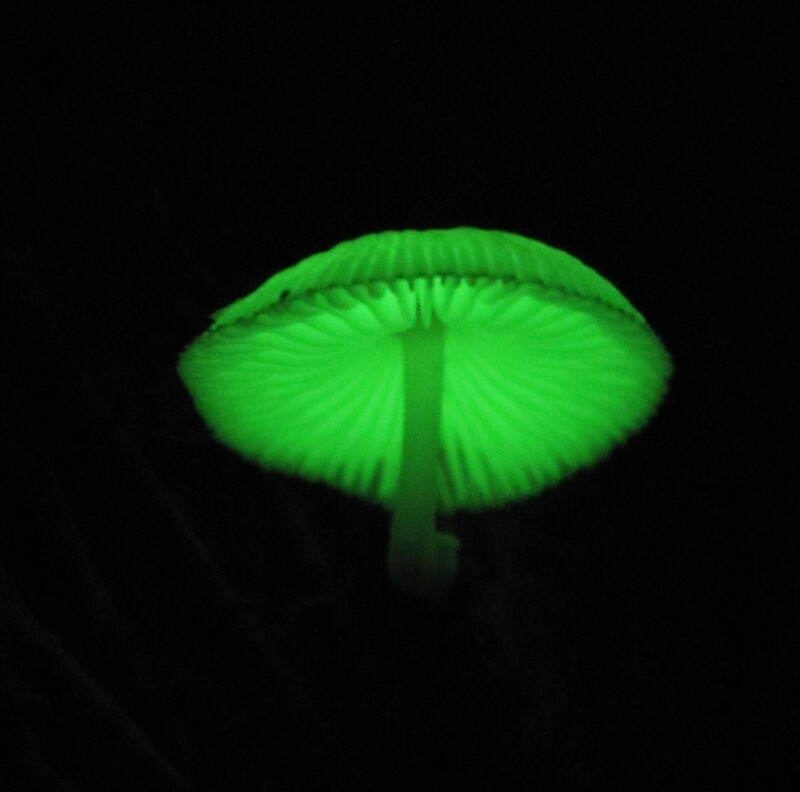 Carol, who sent the firefly photos, called me late the other night inviting me to see the glow-in-the-dark mushrooms in their gully. Extraordinary, spooky and a very very special experience: walking thought the dark with the only light these amazing fungi. 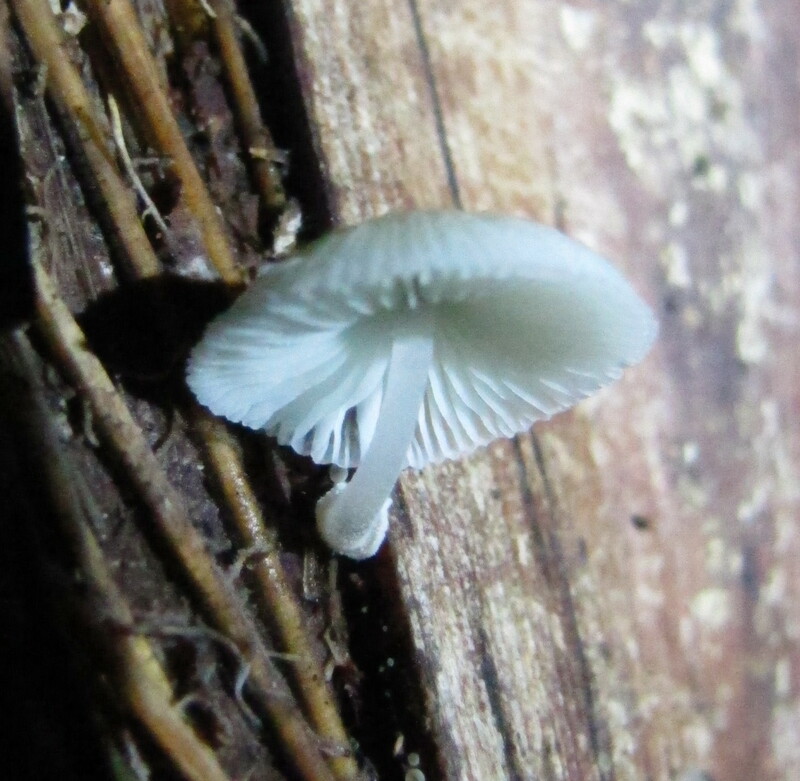 Seeing these luminous mushrooms during the day they look like just another delicate white fungi. The Springbrook Research Centre has information on bioluminescence. The Mountain continues to surprise and delight. Listen to my interview with Kelly Higgins-Devine: 612ABC Drive. See more of our amazing mushrooms: read my article on Forest Fungi.